[unpad.ac.id, 7/01/2019] Unpad Faculty of Communication Sciences (Fikom) students once again won the the international level competition. 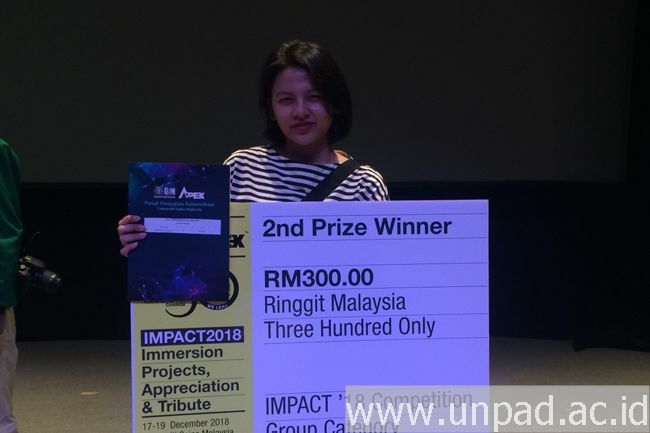 In the 2018 Immersions, Projects, Appreciation and Tribute (Impact) competition held by the Universiti Sains Malaysia (USM) School of Communication on December 17-19 2018, Unpad Faculty of Communication Sciences students won third place in feature writing and second place in communication campaign. 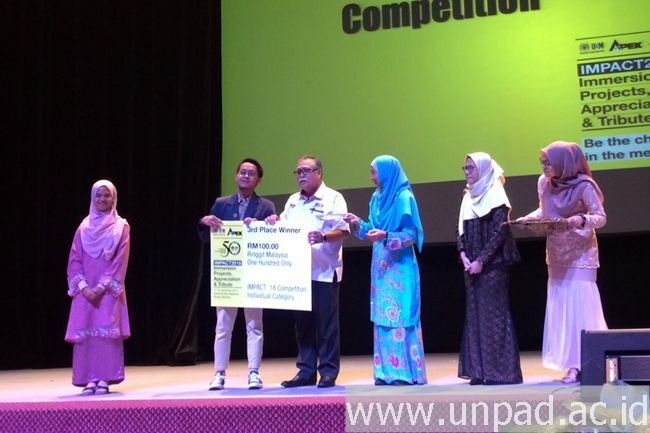 The 3rd place winner writing feature was achieved by Journalist Student of Unpad Faculty of Communication Sciences Moch Rizqi Hijriah. In the competition, Moch Rizqi carried the concept of zero lifestyle by focusing on the use of media as an invitation to reduce plastic waste. “I want to prove that Unpad Fikom students are indeed capable of achieving in the international level competition, that’s my motivation to take part in the Impact 2018 competition,” Moch Rizqi said. Meanwhile, the second winner of communication campaign was won by Karina Alysia T and Hasinah Azzahra by carrying out “Not Indonesia”. This campaign aims to make Indonesian citizens more proud of representing themselves as Indonesian citizens in front of foreigners.